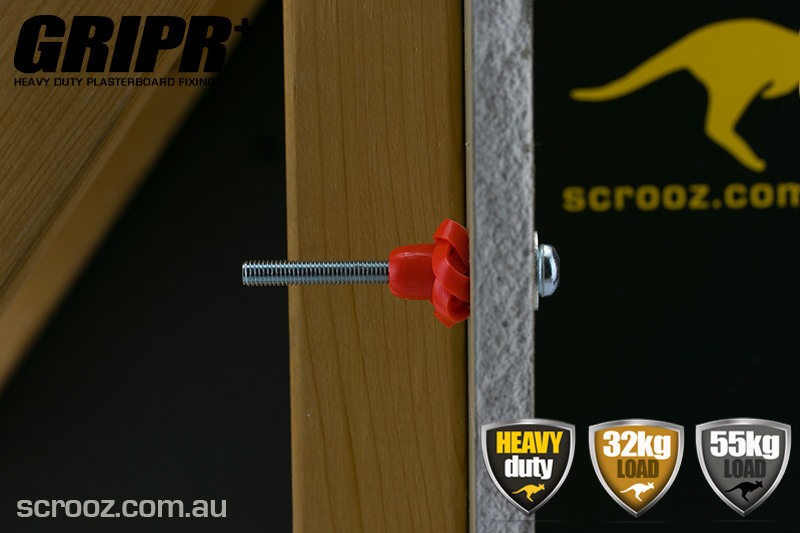 Manufactured in Denmark for Scrooz, Gripr is a fully tested heavy duty plasterboard fixing able to carry huge loads in plasterboard and sheet materials. 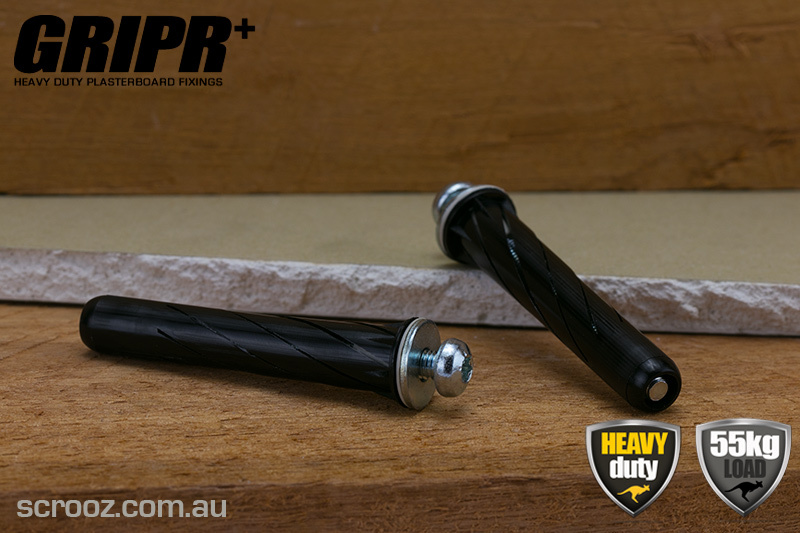 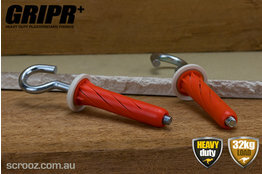 They are simple to use, fast to install and are at least twice the strength of any currently available plasterboard fixings in Australia. 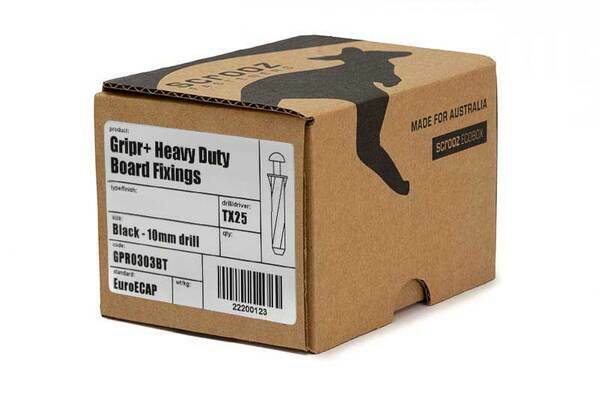 Recommended by leading European plasterboard manufacturers Gripr's can be used in filled or insulated cavities as well as other boards such as timber and man-made boards and can even work on tiled walls. 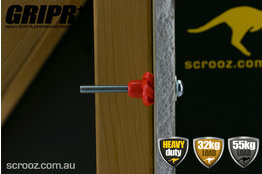 The range comprises Orange for single boards and Black for double boards or tiled walls. They are perfect for fixing to walls where high strength fix is required and timber studs/battens or masonry is not accessible, ideal for grab rails, toilets, baths, kitchen cabinets, furniture and heavy fittings, fire equipment, engineering and structural assemblies. 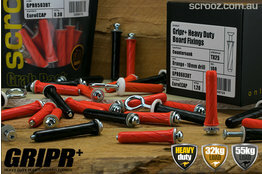 Holds up to 32kg (orange version) per fix in single boards and a massive 55kg (black) in double boards. Designed for medium to heavy loads in plasterboards but suitable for any sheeting or blind cavity application. 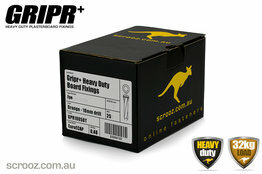 Torx 25 star drive for a high strength drive connection, free bit included in each pack/box. Manufactured from high strength PA6 nylon and reinforced glass fibre body. 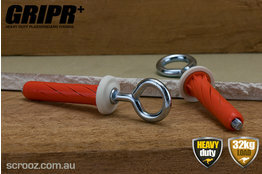 New improved design with a captive steel nut to prevent pull out. 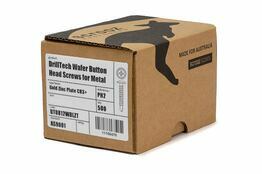 Available in Panhead, Countersunk, Hook and Eye versions. 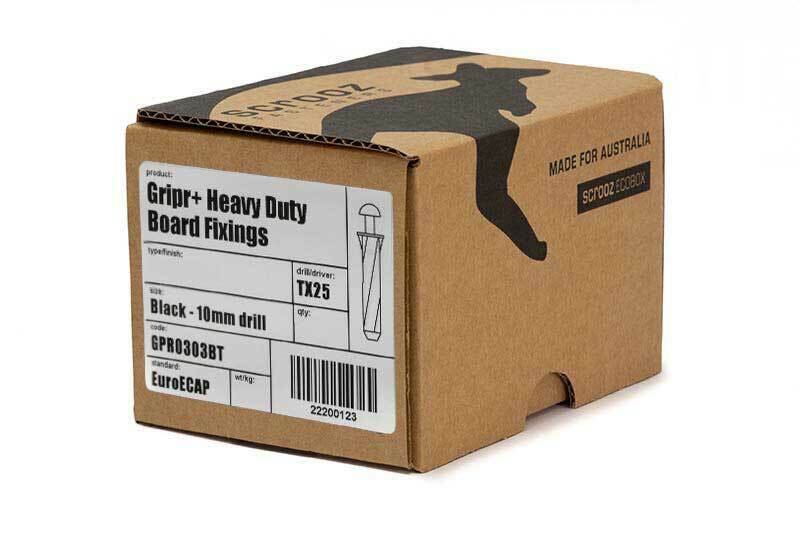 Gripr fixings operate using a clamping action behind the board, when you tighten them they twist and deform to create an evenly shaped knot which spreads the load and firmly clamps your fixture in place. Screw diameters are 5mm. Requires 10mm drillhole. 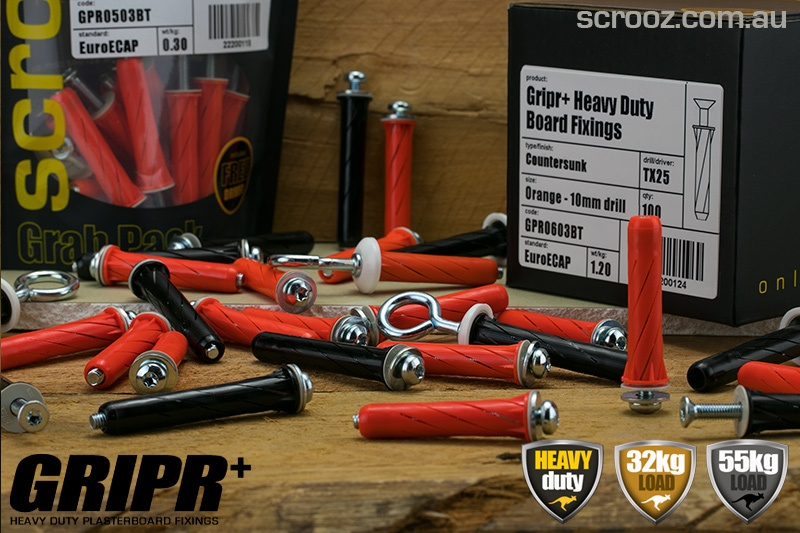 Here's our movie to show you, be careful not to overtighten the Gripr, these are very strong high torque anchors and can easily crush the board.